Walsh University has appointed Kristin Brimfield as Director of Marketing, effective immediately. Brimfield has served as a member of the Walsh marketing team since 2010 and brings 15 years of expertise to this position including leadership roles in the development and implementation of strategic marketing, public relations and project management. Reporting to the Vice President of Marketing and Communications, Brimfield will be responsible for the planning, execution, tracking and analysis of University-wide marketing strategies, including the University website and coordination of all advertising for Walsh’s schools, divisions and community programs. Brimfield will also serve as the University’s primary media buyer and project manager for Walsh marketing collateral such as brochures, flyers, special event promotion, online initiatives, social media and sponsorship marketing. Kristin Brimfield began her career at Walsh in 2010 as the Marketing Coordinator. In 2014, she was named Marketing Communications Manager. During her tenure at Walsh, Brimfield’s primary responsibilities have included content management of the Walsh University website, online events calendar and social media network. In addition, she has been responsible for the maintenance and updating of the online academic catalogs as well as the development and distribution of Walsh’s digital communications. She also assists with writing and project management of University publications and collateral, as well as photography and videography at designated campus events as needed. Prior to joining Walsh University, Brimfield spent more than five years in magazine publishing, working as Managing Editor of what is now Akron Life magazine. In addition, from 2007 to 2012, she wrote bimonthly articles for Go, the former in-flight magazine for AirTran Airways. Brimfield earned her Bachelor of Science in Journalism and Mass Communication from Kent State University and her Master of Business Administration in Marketing from Walsh University. She has a certificate in Web Analytics for Higher Education and is a member of the Northeast Ohio Chapter of the American Marketing Association. 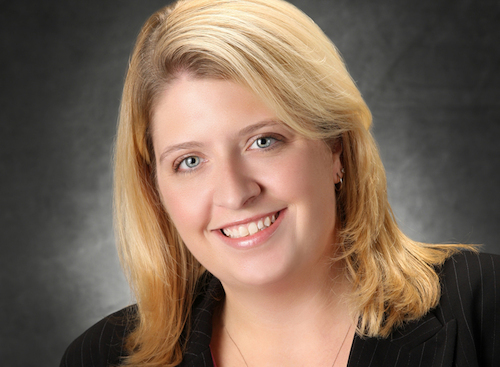 Kristin resides in North Canton with her husband and son.